The great charm of outdoor activities is that it allows you a perfect setting to get some exercise, get some fresh oxygen pumped into the lungs, and also allows you an opportunity to bond with your mates and family. Apart from water activities, a ball game allows you to enjoy these multiple benefits. One of the most popular and most universal sports. The best part about football is that you don’t need anything else except for a round ball to kick around. The playing surface could be a park, a proper football pitch, or even the street. You neither need a lot of people. With as few as four people, you can end up having tons of fun, not to mention a great workout. When it comes to ball games and outdoor activity, it doesn’t get much better than football. Considered to be a bit of a niche sport, cricket can be another fun activity that you can enjoy on a variety of surfaces, ranging from the well paved streets to even a tennis court. You will need a bat, a ball, and a bit of ability to enjoy the game. The upside is that since it is not a contact sport, the entire family can be a part of it. Cricket can make for an ideal outdoor activity, especially in the summer. For those looking for a bit more of a workout and added intensity, touch rugby offers the perfect balance between contact sport and casual fun. The only thing that you need to keep in mind is that this will not be the full-on gladiatorial sport that you see on the telly. Rather, just a fun game where you have to hand over the ball as soon as your opponent touches you. 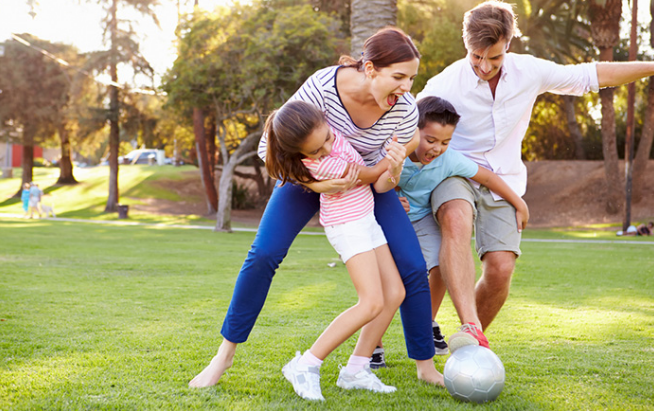 Because of its light physical contact, kids and adults can both be a part of the same team. When volleyball is played on the beach, few ball games can rival the absolute fun and excitement it brings. The best part is that a single team can be composed of as many players as you want. Your group can team up against another or you could just split up and enjoy a good game out in the sun. It is one of the easiest games to pick up and does not require a specialised skill set. And the fact that it usually involves a big group can only add to its fun. Come summer and the annual excitement that Wimbledon ushers in, and tennis will once again rule the public imagination. You will most likely see a lot of part timers head over to the practice courts to sharpen up their game. This presents an ideal situation to get together and go for a volley or two, especially if you are not more than four in number. 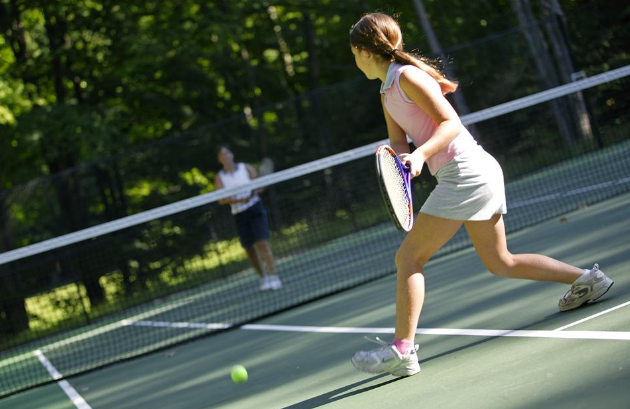 Tennis can be an ideal family sport, allowing for some bonding and for some good fun in the sun.